Posted September 2, 2014 by Chris & filed under News. LANFest Atlanta approaches once again! This year the Atlanta LanFest is being held on the weekend of September 12th. Our local LAN, held annually (and often biannually), is a part of the the Intel LANFest event program as a nonprofit charity fundraising opportunity. Intel LANFest participants have seen the money they’ve raised go to a variety of groups, such as the Leukemia & Lymphoma Society, Dell Childrens’ Hospital in Texas, and the Gamers Outreach Foundation and others in recent years. This year, the Atlanta Lanfest will be donating to the Gamers Outreach Foundation, which brings video game access to hospitals, the military, and even assists other charities host events for a variety of causes. Intel LANFest events are fast approaching over half a million dollars in charitable donations. Every year, CyberWurx helps the Atlanta LanFest with material goods and needs, such as cabeling, website hosting, hardware, and technical knowledge. We are officially Silver Sponsors for the Intel LanFest program, which allows us national publicity in the form of sponsorship materials that are displayed at LANs across the country. Posted August 13, 2014 by Chris & filed under Security. Google is causing quite the buzz on the hosting news networks this week with their recent purchase of the domain g.co. This domain is slated for the purpose of URL shortening for Google-specific products and services. With their already-existing URL shortening service (http://goo.gl), the company has seen fit to further expand their URL shortening repertoire further. The rising prices and demand for these .co domains are being driven by an increasing demand for the shorter and the smaller in domain names. Where is this increase in demand coming from? Smartphones are on the rise. With the increasing numbers of these in circulation, sites will be receiving a larger percentage of their traffic from mobile devices. How does this fit in with URL shorteners? Since typing has yet to become ‘second nature’ on these devices for many of their users, longer URLs can often be typo’d. This can lead to mobile visitors to your website becoming quickly frustrated. As a website owner, what can you do? Shorter subdomains, or lighter-weight mobile sites are certainly a step in the right direction (m.domain.com is a common example), but why not shorten the actual domain itself? Wellsfargo.com, for example, redirects their mobile traffic to wf.com. While this shorter domain name is not necessarily on-topic of the URL shortening, it does provide an example of the focus on length reduction. If your company is engaged in a social media campaign, then you understand the nightmare of trying to post long URLs and messy links to Twitter, Facebook, or Google+ now. Similar to the already-discussed issues with wf.com versus Wellsfargo.com, the length constraints on these social media sites lends itself to URL shortening. These shorter URLs clear up valuable space for you to further communicate about your message, without a third or more of your character limit being consumed by cumbersome links. Setting up a URL shortener can help your business reinforce that ever-important brand memory. Longer domains are simply harder to remember. Having a smaller, more memorable domain that also shortens URLs exclusively for your main site is a great way to reinforce your brand with your clients. TheBusinessInternationalCollective.com sounds and looks professional in writing, but tbic.co is much more manageable and still brings to mind the actual business name. While using public URL shorteners is certainly an alternative, implementing an exclusive shortener for your products and services protects your clients from phishing schemes, and reassures them that content linked from these domains is genuine. Setting up a URL shortener for your business is a simple, fast, and lightweight tool for easier access and sharing of your content through social media sites and mobile devices, and re-affirms your brand’s memory. Posted July 1, 2014 by Chris & filed under News. 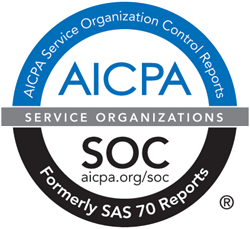 Cyber Wurx has successfully completed SOC 2 audit; meeting strict industry standards in regards to Security, Availability, Processing Integrity, Confidentiality, and Privacy. We strive to hold ourselves to the highest standards with respect to facility security, and the achievement of the Type II certification reflects that, placing us in the top 6% of data centers. Cyber Wurx, LLC, a leader in the webhosting andcolocation industry, has announced that it recently completed its Service Organization Controls 2 (SOC 2) examination under AT Section 101, Attest Engagements (AICPA, Professional Standards), for the period January 1st, 2013 through May 31st, 2013, that was performed by an independent auditing firm. Posted February 22, 2014 by Chris & filed under News. Cyber Wurx loves to hear from you, the customer, to know how we are doing from time to time. Recently, we had a contest to give back to the customers. The winner of the contest is Fred, a long time customer of Cyber Wurx. I love Cyberwurx because they are simply amazing. I am a retired engineer. I love linux, bsd, etc and spend a lot of time setting up systems. Since I retired (about 4 years ago) have have had dozens of hosting companies both dedicated and vps. I signed up for Cyberwurx after seeing a special on P4 servers on Webhostingtalk. The first server you set up for me had a hardware problem and we ended up replacing it with another P4 system. During the whole process which mostly happened late at night and on a weekend, your response time was simply amazing. Almost instantly! The technicians I chatted with were extremely knowledgeable and both professional and friendly. I especially like the detail they respond with. They always tell you exactly what’s going on and do not keep information from you. I recently switched from the old P4 to an Atom. Chris in sales is just as good as your service techs. I dealt with him in every case and he always displays a “can do” attitude and I get no surprises. I really don’t know how you guys put such a complete package together but you have a superb operation. If I was running a hosting business, I know who I would model it after! Congratulations Fred! Also, thanks to all the wonderful customers who submitted an entry! If you are an old customer, new customer, or returning customer, Cyber Wurx welcomes you to the family!